A family run business, Peace of Mind Security screens takes every effort to ensure a top quality, professional service from communication with customers and suppliers to custom installation of all our products. We can provide you with advice on the best security screens for your property and offer free on site measurements and quotes for all our products. 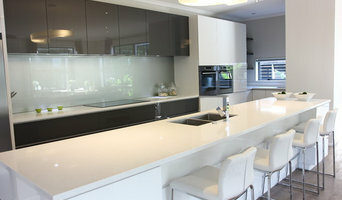 To see the quality of our products in person, our main office and showroom is located in Penrose, Auckland. Contact us for more information. For residential and commercial; small rennovations. Whether you are looking to make your balcony balustrades more secure with Crimsafe ® security screens, or looking for wind proof awnings to create an outdoor dining area whatever the weather, Peace of Mind Security Screens can provide a custom solution just for you. Our products have already been installed in cafes, newly built houses, existing homes, offices, schools and many other community and business spaces. For a prompt service with a professional attitude, contact us today. Have you been looking for something a little more exciting than a dull, old fashioned security screen? Go about your business inside your home with freedom and security. Let the air, light and sun shine in too. As a New Zealand owned and operated, family business, Sage Doors has been at the forefront of manufacturing roller doors since the mid 1950s - follow our company’s history to see how we have become a leading supplier of quality roller doors in NZ. Proudly Kiwi owned and operated, we've been in the business for 60 years providing operable, moveable, glass, folding, concertina walls and doors. 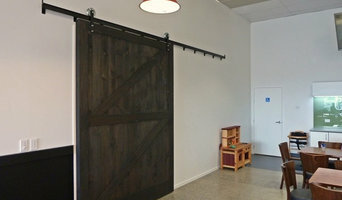 The team of craftsman joiners at Dando Doors and Windows have been supplying Auckland home owners with custom made timber joinery for more than 20 years. Initially focusing on creating tailored joinery solutions for clients renovating older homes in central Auckland. It didn’t take long for word to spread that you could trust Dando to provide a quality product backed by friendly, reliable service. Today the team has grown to eighteen. So too has the range and styles of joinery to encompass homes of virtually any style, from classic villas and bungalows, to streamlined modern design. At Dando we choose to use Western Red Cedar for all our doors and sashes. This hard-wearing softwood has a remarkably fine and stable grain structure that won’t warp or twist, ensuring years of reliable opening and closing. And for our frames we use long lasting Radiata Pine. Other timber options are available to suit your design. As a member of the Master Joiners we are committed to quality. All our products come with a 5 year warranty against defects in material and workmanship. This website has been designed to give you a taste of the range of styles available and explain the benefits of using timber joinery for your home. The options are virtually limitless. Doormakers began its operation in the early 1970s. Since then, the company has been providing high quality, high performance, standard and custom interior and exterior doors and sliders for the residential, condominium, and commercial construction markets. 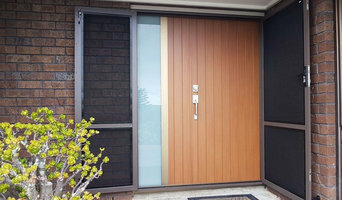 Widely recognized among architects, contractors, designers and other professionals in the building and remodelling industry, Doormakers Ltd has earned the reputation for excellence in its field, taking pride in providing superior products at reasonable prices. Welcome to The Doorshed! 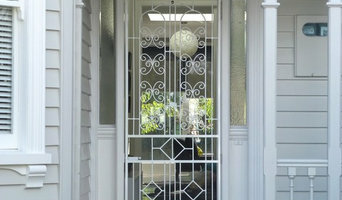 We are Auckland’s premier door specialists. 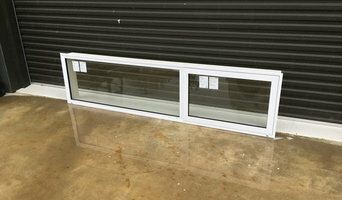 We have high-quality doors from top manufacturers offered at the best prices. Thousands of home builders, architects, specifiers, renovators and DIY enthusiasts rely on us for their total door solution. Choose from an extensive range of ready-made doors including pre-hung doors, entrance doors, exterior French doors, cavity sliders, louvres, bifolds, interior and exterior doors. Need a non-standard sized door? We can have it custom-made to your specifications. We’ll even do an on-site measurement service for your houselots. Get a reliable quote and quick turnaround time so you don’t delay your projects. If it opens and shuts, we probably have it! Talk to us today for all your door needs.